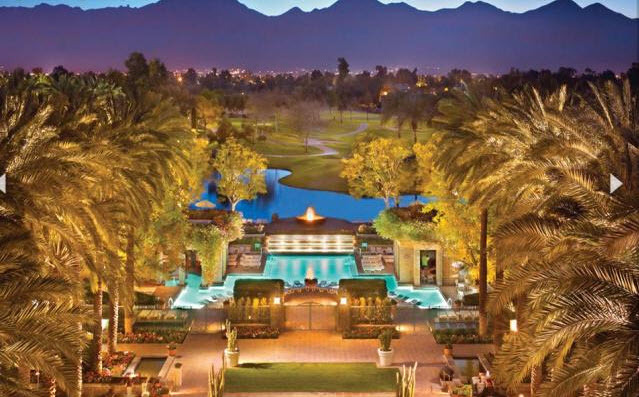 The beauty of the majestic McDowell Mountains, palm trees, cacti, wildflowers, Frank Lloyd Wright inspired architecture, and the spirit of native peoples combine to create the Southwestern elegance of the Hyatt Regency Scottsdale Resort & Spa at Gainey Ranch. Enjoy the many recreational amenities this desert oasis has to offer including a 2.5 acre water extravaganza complete with 10 pools, 20 fountains, 45 waterspills and its signature sandy beach. A highlight is the totally cool, faster-than-ever 30’, 3-story, high-speed waterslide. Additional amenities include 27 holes of championship golf at the award-winning Gainey Ranch Golf Club, world-class tennis, miles of jogging and bicycle trails, Spa Avania, the first spa experience choreographed to the science of time, the Native American Learning Center, Camp Hyatt for children 3-5 and 6-12, five distinctly different restaurants, three bars and nightly entertainment. 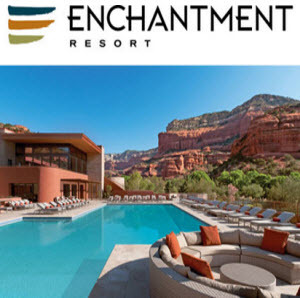 Hyatt Regency Scottsdale Resort & Spa at Gainey Ranch is a spectacular destination with championship golf, Spa Avania, a 2.5 acre water playground, tennis courts and Camp Hyatt Kachina. Our 70,000 square feet of state-of-the-art event space offers an inspired setting for business gatherings, special events, weddings and receptions. And we’re just minutes from all the attractions of the vibrant Scottsdale area.